Victor Hugo is an icon of French culture. He achieved immense success as a poet, dramatist, and novelist, and he was also elected to both houses of the French Parliament. Leading the Romantic campaign against artistic tradition and defying the Second Empire in exile, he became synonymous with the progressive ideals of the French Revolution. His state funeral in Paris made headlines across the world, and his breadth of appeal remains evident today, not least thanks to the popularity of his bestseller, Les Misérables, and its myriad theatrical and cinematic incarnations. 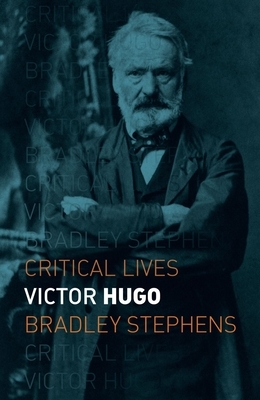 This biography, the first in English for more than twenty years, provides a concise but comprehensive exploration of Hugo’s monumental body of work within the context of his dramatic life. Hugo wrestled with family tragedy and personal misgivings while being pulled into the turmoil of the nineteenth century, from the fall of Napoleon’s Empire to the rise of France’s Third Republic. Throughout these twists of fate, he sensed a natural order of collapse and renewal. This unending cycle of creation shaped his ideas about freedom and roused his imagination, which he channeled into his prolific writing and other outlets like drawing. As Bradley Stephens argues, such creative intellectual vigor suggests that Hugo was too restless to sit comfortably on the pedestal of literary greatness; Hugo’s was a mind as revolutionary as the time in which he lived. Bradley Stephens is a senior lecturer in French at the University of Bristol. His books include Victor Hugo, Jean-Paul Sartre, and the Liability of Liberty; ‘Les Misérables’ and its Afterlives: Between Page, Stage, and Screen, coedited with Kathryn M. Grossman; and Approaches to Teaching Hugo’s ‘Les Misérables’, coedited with Michal P. Ginsburg. "'The first English biography of the literary behemoth in over twenty years, in these troubled times of ours Victor Hugo is the antidote we never knew we craved. . . . Comprehensive, refreshingly accessible—and concise!—Stephens's pocket-size monograph draws a fascinating portrait both of the private man wrestling with family tragedy and the public figure navigating a society rocked by turmoil. . . . Essential reading in a post-truth era!" "Any account for Hugo’s long and eventful life makes a rattling good yarn. Stephens’s signal achievement is to have compressed it into a short and lively book that gives accurate thumbnails of all the important works. Full of enthusiasm for his subject, Stephens writes nonetheless with admirable balance and does not mask Hugo’s human flaws. This 'Hugo' will surely inspire readers to delve into the wonders of the poetry, drama, and fiction created by the preeminent public figure of nineteenth-century France and whose image and moral example continue to shape many aspects of our contemporary world." — David Bellos, Princeton University, author of 'The Novel of the Century: The Extraordinary Adventure of 'Les Misérables'"